Pictures that are taken from a normal angle, a 45o slant or directly above, tend to be ordinary that it could sometimes lead to being boring. Try to photograph it at a lower angle, giving some altitude to the food that will make it a lot apparent for the target audience. Tightly cropping the photograph is essential if the subjects are shot in close-ups, especially when taking pictures of food. 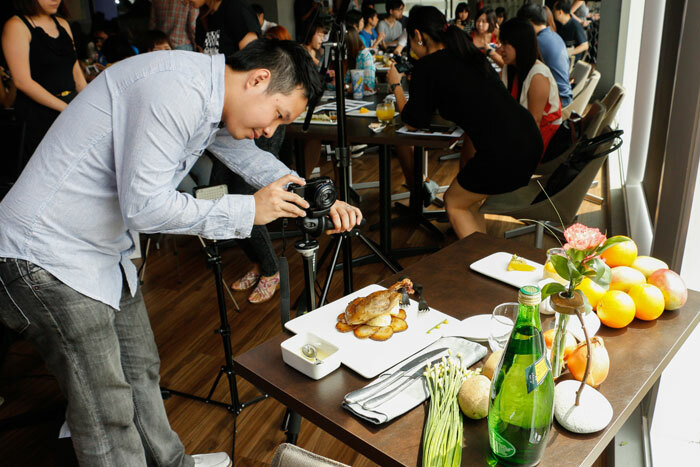 Minute features of the food should be visibly captured, that is why cropping is done to make it more attractive and tempting. Cropping the picture will make the image larger, giving a bit of recognition to the food's texture and color. Overdoing your picture with props will not do you and the food any good. You have to remember to keep it simple and tone it down with regards to the use of props. It is necessary to just use appropriate ones, and focus on the main subject, which is the food.